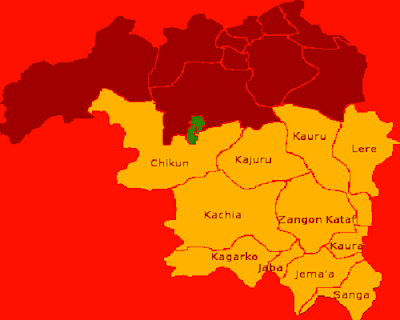 Fourteen persons have been killed in Southern Kaduna as gunmen stormed a wedding venue. Earlier reports said 21 other people were seriously injured in the attack perpetrated in Ungwan Pa-Gwandara of Godogodo chiefdom in Jema’a Local Government Area on Sunday. Troops have been deployed in the troubled community, according to a statement issued by Senior Special Assistant to Governor Nasir El-Rufai on Media and Publicity, Samuel Aruwan, yesterday. Aruwan said the troops would further secure the area and provide the atmosphere for extensive investigation of the sad incident with a view to apprehending and prosecuting the culprits. He urged anybody with useful information on the attack to kindly make it available to the security agencies near them. “The governor has also directed Jema’a Local Government Council and the State Emergency Management Agency (SEMA) to, as a matter of urgency, work towards taking care of the victims receiving medical attention and providing relief materials to the community,” he added. The Chairman of Jema’a Local Government, Mr. Peter Danjuma Averik, expressed regret that the attack happened when concerted efforts were being made by both the state and local government to bring peace to the area. The lawmaker representing Jema’a and Sanga federal constituency, Shehu Nicholas Garba, also said efforts were being made by the local authorities, including notable leaders in the communities, to contain insecurity and prevent it from escalating. “These efforts include bringing in the military task force which has a unit in Jagindi Tasha. Sadly, it is now obvious that we are confronted with yet another unexpected tragedy. “Our communities were denied the joy of Christmas celebration last year. We should refuse to be pushed into taking retaliatory measures which the enemy wants to exploit to deny us the joy of yet another Christmas and New Year celebration and perhaps peaceful elections next year. “I urge the security establishments to fish out the perpetrators of this dastardly act for the law to take its course and also reinforce their presence in these communities to restore confidence,” he said.